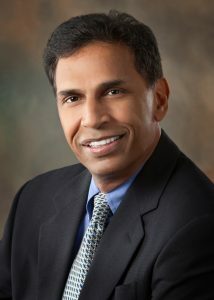 Did you know that our own Dr. Ravi Chandra, MD, FRCS, FACS, FSVS is the only Ocala physician certified by both the American Board of Endovascular Medicine and the American Board of Surgery? This certification is important because endovascular procedures are lifesaving, especially in the case of aneurysms. Repairing abdominal aortic aneurysm is one area in which Dr. Chandra specializes. This serious and potentially deadly condition is caused when the walls of the aorta malfunction or fail due to restricted blood flow. If the aneurysm ruptures, it will bleed into the abdomen, which is why it is imperative to treat it right away. Although aortic aneurysms generally occur in the abdomen (near the navel) they can affect any area of the aorta. 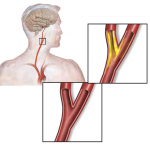 One of the least invasive procedures is to use an endovascular stent graft to repair the aneurysm. This involves making a small incision into the groin to access the femoral artery. The surgeon then places the stent graft, which allows blood to flow unrestricted from the heart. Endovascular surgery is an alternative to open surgery. The recovery period is much quicker, and, in most cases, the patient experiences little to no discomfort. However, not all patients are candidates for endovascular surgery. We will evaluate your condition and overall health to determine which type of procedure is right for you. Although abdominal aortic aneurysm’s are serious, it is reassuring to know that they can be treated with minimally invasive endovascular surgery. It is important to check the qualifications of any surgeon you are considering. 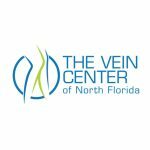 Surgical Specialists of Ocala is proud to offer world-class endovascular medicine right here in Ocala, Florida. Don’t wait until it’s too late – contact us to make your appointment with Dr. Chandra today.